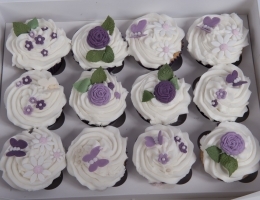 If you are looking for something a little different but well organised, professional and fun a Cake School cupcake party is suitable whatever you are celebrating. From children’s parties to a corporate team builder, a girly get together or a fund raising event. Each party is designed and planned with you so you can choose the theme and if you would rather choose an alternative to cupcakes we have lots of ideas from cookies to cake pops to modelled scenes the choice is yours. Collaborative, creative and supportive – the team that decorates together stays together! 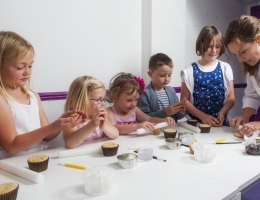 A cupcake decorating party is a fun and unusual money spinner and can help your school, charity or club raise vital funds. Got lots of friends but never have time to get together? Looking for an unusual Fundraiser? Want to give an amazing corporate gift or raffle prize?